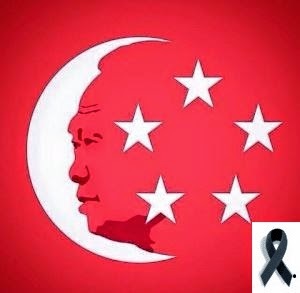 On 16th September 2014, Singapore celebrated the 91st Birthday of Mr Lee Kuan Yew. We are grateful for this great Bodhisattva, Mr LKY (most address him such). I never forget the words of my late Mum that we owe it to Mr LKY to be where we are today. There is another thing she said..."always hang the National Flag on National Day" which we have been doing yearly, as long as we have a place to hang it, until we expire. I knew what Mum meant where most people don't...there is no Home with a broken Country and corrupted people who govern it. This little island, you can hardly find it on the Map of the World. Today, people who want to find Singapore will zoom in on this place called Singapore which they heard about, and find us. Countries know us and all these are possible because of Mr LKY. Making the Country known is bringing us our bread and butter too. Many people did not see Mr LKY as a man that have done so much for us. Many people saw him as PAP. 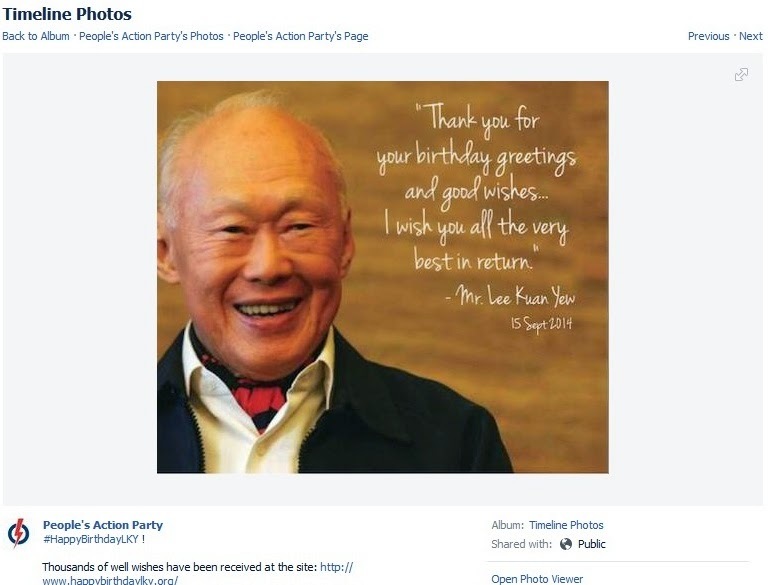 This great man just happened to be the member of PAP. Call a Rose by any other name and it is still smelling sweet. There are people who said it, many more thought about it and many many more who expressed it in writings, in arts in songs...Happy Birthday, Sir. Happy Birthday and thank you for giving us a safe Home. Please stay healthy for all who love you. All said but could not find words to truly express our gratitude. See you around, Sir !!! !